So, there is this little video game company called Rockstar that has released a handful of indie titles called Grand Theft something, and recently one about a cowboy called Red Dead Redemption that gained a little cult following– possibly stemming from the 5 million or so copies of the game that shipped. You may have heard of them. Rockstar’s next big project comes in the form of a 1940s-style crime game called L.A. Noire. 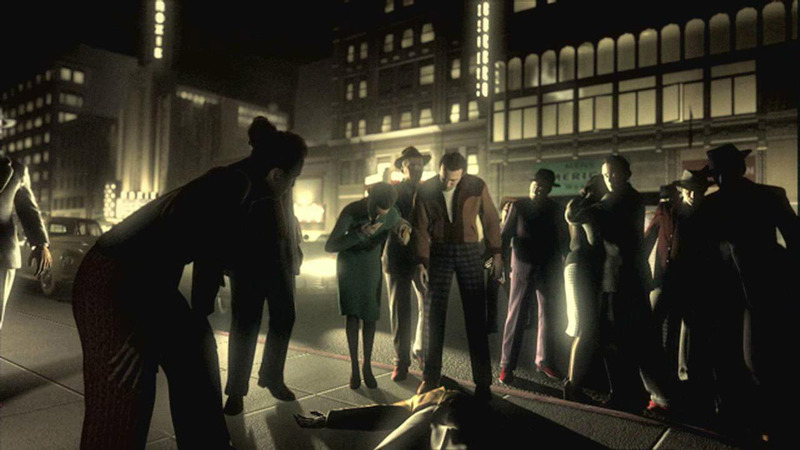 As the title suggests, the game leans heavily on the noir style made famous in the 1940s and 50s, and includes elements of jazz, corruption, and hardboiled crime. The game is set in what is being described as a perfect recreation of LA in the late 1940s, and you travel around the open world of the city while attempting to solve a series of murders. The trailer below highlights the look and feel of the game, as well as some of the gameplay you can expect. LA Noire has been announced for the PS3 and Xbox 360, and you can expect it sometime in Spring of 2011.